Sue Armstrong is a science writer and broadcaster based in Edinburgh. She has worked for a variety of media organisations, including New Scientist, and since the 1980s has undertaken regular assignments for the World Health Organization (WHO) and UNAIDS, writing about women's health issues and the AIDS pandemic, among many other topics, and reporting from the frontline in countries as diverse as Haiti, Papua New Guinea, Uganda, Thailand, Namibia and Serbia. Sue has been involved, as presenter, writer and researcher, in several major documentaries for BBC Radio 4; programmes have focused on the biology of ageing, and of drug addiction, alcoholism, obesity, AIDS, CJD, cancer and stress. Her previous book was p53: The Gene that Cracked the Cancer Code, also published with Bloomsbury Sigma. It has been highly commended by the BMA Book Award. 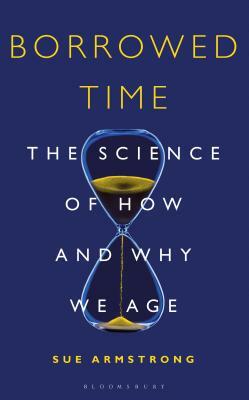 “Borrowed Time gives a wonderful overview of the fast-evolving science of longevity. I thoroughly recommend this book as a primer on what will become a key industry in the next two decades or so.” —Jim Mellon, Chairman, Juvenescence Ltd.